If you’re slacking off or otherwise not living up to your potential, a good fitness trainer will encourage you to get back on track. New updates in the Microsoft Band will be pushing you as well. Wednesday morning, Microsoft pushed new updates to its Microsoft Band and related Microsoft Health apps that compare users to an anonymous cross-section of users with the same body type, based on height and weight. In addition to the Band, the Health app will pull in data collected on Android and iOS devices, Microsoft said. The updates emphasize tools that can assess your overall health and recommend ways to improve it, with more detailed insights to assess the quality of your sleep, for example. Microsoft also claims it can now calculate the volume of oxygen (VO2) consumed while exercising, a key component of fitness. Why this matters: This is actually a savvy move on Microsoft’s part. Microsoft will never convince anyone that the Band is more stylish than the Apple Watch, and Android Wear’s growing cadre of apps have made the case that they’re as productive as the Band. But Microsoft seems to be applying the lessons it learned in the cloud and in business intelligence and turning analysis and insights into Band selling points. “In February, we uncovered and took action against three main themes found in the feedback we had received: customers want broader integration, new insights and more features,” Microsoft said in a blog post. Microsoft’s older sleep assessment tool will be upgraded to analyze sleep restoration, sleep efficiency, and wake-ups, to find out how well the body restores its resources during sleep, Microsoft says. You don’t even need a Band. 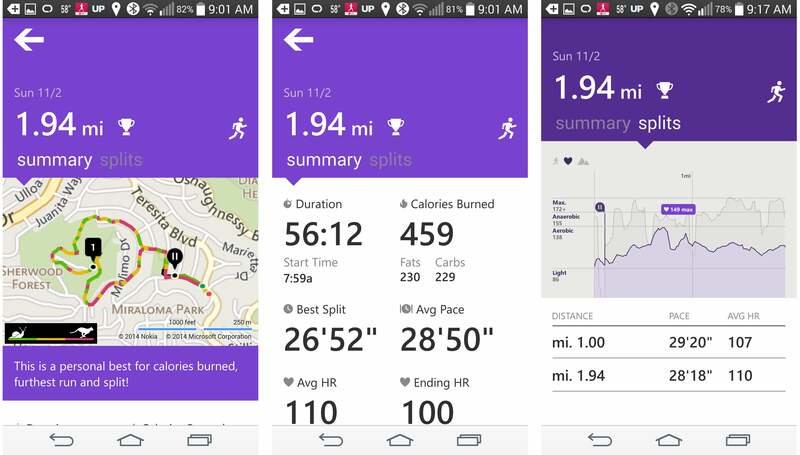 Microsoft previously ported its Health app to Android and iOS, as well as Windows Phone. 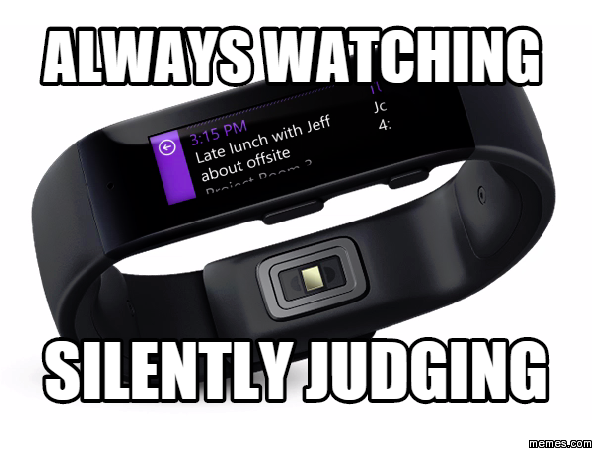 Until now, however, you had to pair it with a Band or other fitness band to tap its data. 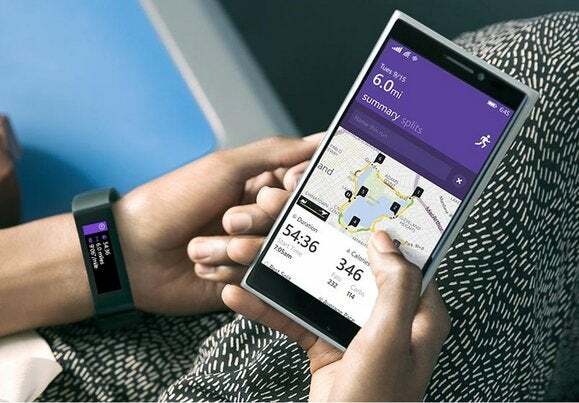 Now, Microsoft said, users don’t even need a Band—they can use the step and calorie data collected by an Android 4.4+ phone or the iPhone 5s or later. Microsoft Band already does a very nice job tracking your fitness data. Cynics may see this as a sign that Microsoft hasn’t sold many Bands. On the other hand, Microsoft has hastened to push its apps and services like Office, Bing, and Outlook onto as many platforms as it can, to encourage new users to sign up for its services. 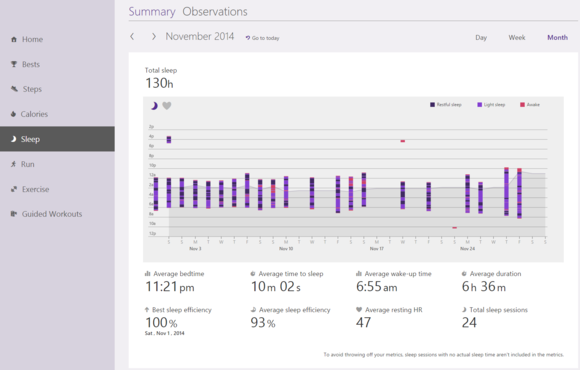 One of the more interesting aspects of the new update will be something that Microsoft calls “comparative insights.” Health users will be able to compare themselves to others on the Microsoft Health Web Dashboard based on their steps taken, sleep, workout frequency and calories burned, plus their own historical data over time. “Customers looking for motivation can use comparative insights as a benchmark to understand their health relative to similar people,” Microsoft says. Let’s hope it doesn’t come to this. Likewise, Microsoft has made the cycling feature it added in the Band’s February update more social, partnering with MapMyRide and Strava to allow Band users to share their data using these apps. 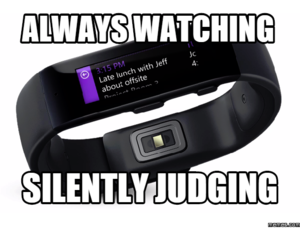 Microsoft Band customers will also be enthused by the update itself. The peloton of smartwatches and fitness bands has no real leader, although Apple certainly would like to claim the yellow jersey. Millions of fans have wondered when Microsoft would try to break from the pack. After Microsoft issued its first update in February, and now another, we now know that the race is far from over.